Die im Grossraum New York ansässige Band "Blue Images" wurde 2013 von Sänger & Keyboarder Alex Virlios geründet, als die ersten Songs des Debüt Albums entstanden. 2016 kamm Brad MacAllister zu Blue Images. Zum Duo gereift, vereinen "Blue Images" die Elektro/Synthie Sounds der 80er mit neuen und innovativen Beats der Gegenwart und der Zukunft. Der Sound von "Blue Images" wird u.a. durch die Einflüsse von Bands wie OMD, Camouflage oder auch Wolfsheim & Seabound beeinflusst und inspiriert. Blue Images is the creation of vocalist/keyboardist Alex Virlios and was born of his desire to develop a solo side project of his own work while he was still a contributing member of other national acts. Blue Images in its inception dates back to 2013 when the first melodies of the debut album were written. Over time, and in many different landscapes and locations, the music of Blue Images took life. And in 2016 Blue Images integrated the production expertise and creative input of fellow band member Brad MacAllister. In its final form, Blue Images is a two piece music project that captures the electro/synth sounds of the past with new and innovative beats for music genres of today and the future. Blue Images is inspired by the influences of bands such as Camouflage, OMD as well as Wolfsheim, Seabound and various others. Blue Images is currently based in the Greater NYC area of the United States with representation in Germany. 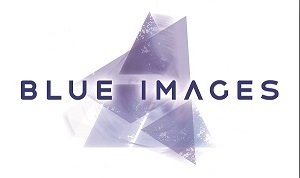 "Blue Images" ist eine Synthpop / Electro Band auf Scanner / Dark Dimensions Labelgroup. Die Musik von Blue Images umfasst sowohl Dance Beat lastige als auch balladeske Titel in einem unverwechselbaren, melodischen Soundgewand, kombiniert mit dunklen und eingängigen Vocals. Die Debüt-CD "Her Light" erscheint am 18.05.2018 und enthält u.a. einen Song mit Gastsänger Reagan Jones von "Iris" und einen Song mit Jürgen Engler von "Die Krupps". 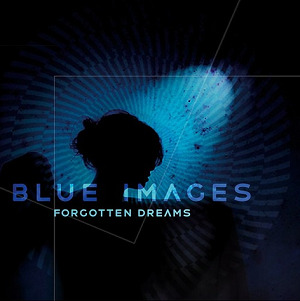 Blue Images is a synthpop/electro band on the Scanner/Dark Dimensions label in Germany. 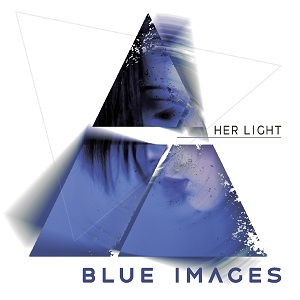 The music of Blue Images features both dance beat and ballad tracks with a distinctive, melodic sound combined with dark and moody vocal stylings. The debut CD “Her Light” is due out May 18th, 2018 and includes two tracks with guest vocalists Reagan Jones of Iris and Jürgen Engler of Die Krupps. folgt nun mit ”Forgotten Dreams” eine neue digitale EP. Die EP beinhaltet vier neue Remixe des Titel Songs FORGOTTEN von A Spell Inside, Iris , Interface und Adoration Destroyed. Zudem hat die Band eine deutsche Version von ”Forgotten” aufgenommen und drei brandneue Songs beigesteuert. ”Forgotten Dreams” enthält 11 Songs, darunter 2 spezielle Coverversion von Camouflage und Project Pitchfork Klassikern. In follow up to the album “Her Light”, released in May of this year on Scanner/Dark Dimensions and hitting #9 on the DAC Album charts 6 weeks later, Blue Images presents a new digital EP “Forgotten Dreams” featuring the single “Forgotten” from the debut album. The EP includes four new remixes from A Spell Inside, Iris , Interface, and Adoration Destroyed. Additionally Blue Images recorded and produced a German version of “Forgotten” and also included three brand new original songs! This EP is packed with music from start to finish with a total of 11 tracks including 2 special covers of Camouflage and Project Pitchfork classics that we hope you enjoy!